TCS provides quality products including fiber and copper patch cords and panels, pre-terminated multi-fiber trunk cables, solutions for field termination, custom fiber patch panels and more. 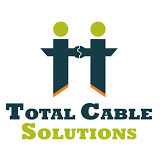 Total Cable Solutions’ products are manufactured with the highest quality in factories that are ISO-9001 and TUV Certified and TCS product lines meet or exceed EIA/TIA RoHos standards. Our ultimate goal is to serve our customers’ needs with quality products, ongoing education and professional services with expedited delivery to our OEMs, VARs and distributors. Get the kinks out with a low profile connector for easy fit in panels and switches. Find the right transceiver compatible with Cisco, HP, and Extreme Networks.